Fifty years ago yesterday the world was robbed of possibly the finest most emotive male voice in soul music when the plane in which Otis Redding and the Bar-Keys were passengers in crashed on it's approach to Truax Field, Madison, Wisconsin. The only survivor from the crash was Ben Cauley the band's trumpet player, in total including the pilot and the band's valet 7 men perished. During his short recording career Otis recorded 6 albums all of which are well worth purchasing. His best known song "(Sittin' On) The Dock Of The Bay" was laid down three days prior to the singer's death and was released in January the year after his death and was Redding's only number one, although most people at Stax disliked the track and did not consider it R&B. Whether this track would have heralded a permanent change in direction for the singer nobody will ever know. However he also left another three albums worth of material that were released on ATCO from 1968 to 1970 and most of the material on these sound like SOUL to me. I've Got Dreams To Remember was included on the first of these "The Immortal Otis Redding" and was also released as a single in 1968. Toptastic track Drew. In the never ending search for more southern soul tracks, the Dave Godin compilations, the Sir Shambling site, it's all to easy to forget that whatever obscure track and occasional gem I find there's no one better than Otis Redding. A great song to remember Mr Redding by. George I was reading the other day some criticism that Redding didn't have the range and his voice was pretty mediocre, I would love to have a voice that average. Range seems mighty impressive to me, but it’s the passion that made Redding great. I’m not one to usually like live recordings all that much, but I’ll take Otis on stage over in the studio more times than not. I asked for one thing for Christmas, but it’s a biggie. I asked Santa for Redding’s new seven-LP mono box. Fingers crossed. Great selection, Drew! 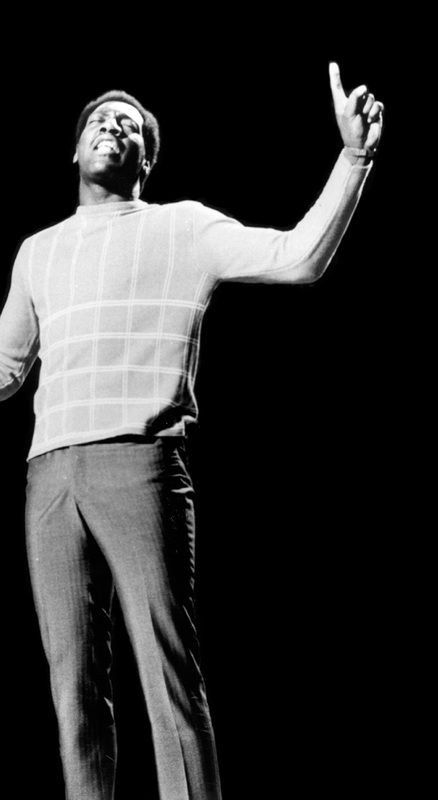 The quintessential '60s soul voice! I'd love that one too (thanks for mentioning it), but it's not likely to be coming down my chimney, as I've been more naughty than nice this year. I hope you fare better. Brian & Marie, I want that too but no way can I justify that at the moment. Not after shelling out for the Cookies 7".